Rosedale Cedar Arbor Kit | Free Shipping! 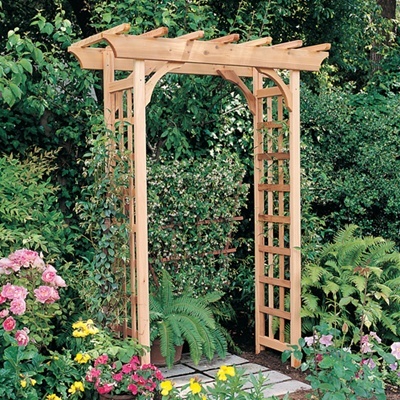 The Rosedale Arbor, with its classic pergola-style header and straight latticed sides, can be considered either an arbor or pergola. Constructed of 100% premium grade Western Red Cedar, a wood known for its durability and weatherability, it will provide many years of service in your yard or garden. 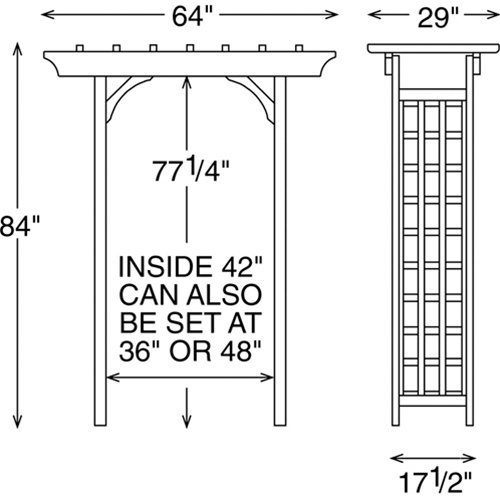 The Rosedale Arbor is adjustable in width, and can be set at 36", 42", or 48" inside width dimensions. The Rosedale can also be used with our Arbor Seat & Back (sold separately) to create a charming seating area, or can be used with the 36" Garden Gate (also sold separately) to create an entryway that commands notice.